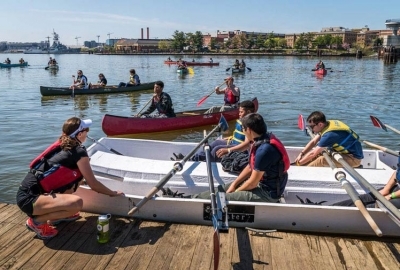 It may be the unofficial end of summer with Labor Day upon us, but there is still a lot going on in the DMV this long holiday weekend. As the last of area schools get ready to reopen on Tuesday, exhibits are getting ready to close at the National Building Museum, Smithsonian American Art Museum, National Zoo and Hirshhorn Museum after this weekend. And college football season is opening with Maryland taking on Howard and Navy taking on Fordham. Let’s just hope Hurricane Hermine stays away. The Rhode Island Metro station will be closed through Sunday for inspections due to falling debris. Although trains continue to pass through the station, they will not stop so buses will shuttle passengers between Rhode Island Avenue and Brookland. Red Line trains will also single track between Silver Spring and Glenmont with trains running every 12-15 minutes between Shady Grover and Silver Spring and every 20 minutes between Silver Spring and Glenmont. Track work will close the section of Orange Line between Stadium-Armory and Minnesota Avenue with buses replacing trains. Trains will run every 15 minutes between Vienna and Stadium-Armory and Minnesota Avenue and New Carrollton. On the Blue Line, buses will replace trains between Stadium-Armory and Benning Road and between Franconia-Springfield and King Street with trains running every 15 minutes on other parts of the line. Silver Line trains will run every 15 minutes between Wiehle-Reston East and Ballston ONLY. Yellow Line trains will operate on a regular weekend schedule from Huntington to Mount Vernon Square ONLY. Green Line trains will have regular weekend service. 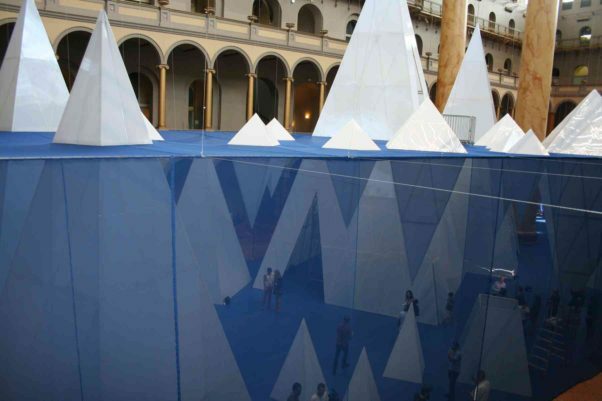 Through Sept. 5 from 10 a.m.-5 p.m. and 11 a.m.-5 p.m. Sundays at the National Building Museum, 401 F St. NW. Admission is $16 for adults and $13 for youth, students with ID and senior citizens. Three big Smithsonian exhibitions also close after this holiday weekend. 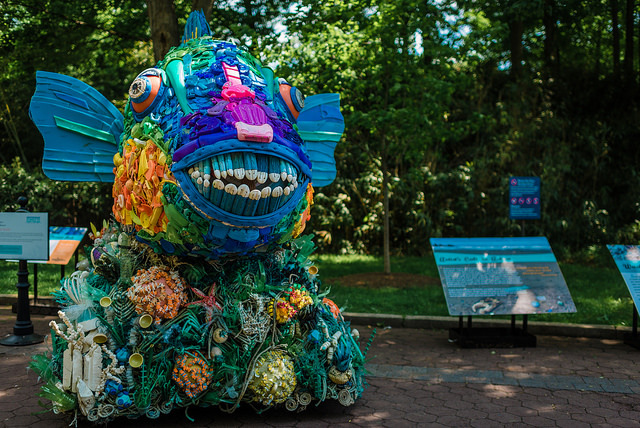 Washed Ashore: Art to Save the Sea at the National Zoo puts trash on display with 17 sculptures made from plastic pollution harvested from beaches around the world. The Smithsonian American Art Museum’s Martin Puryear: Multiple Dimensions focuses on the District native’s drawings and prints, while also showcasing 14 of his sculptures. And Robert Irwin: All The Rules Will Change at the Hirshhorn Museum breaks the artist’s work into two parts: a retrospective of his art from 1958-1970 and then a site-specific, immersive installation, commissioned by the museums. Through Sept. 5 from 11:30 a.m.-7 p.m. at the Smithsonian American Art Museum, Eighth and F Streets NW, from 8 a.m.-7 p.m. at the National Zoo, 3001 Connecticut Ave. NW and from 10 a.m.-5:30 p.m. at the Hirshhorn Museum, 700 Independence Ave. SW. Admission to all are FREE! The 16th season of Jazz in the Garden wraps up with the Fred Hughes Jazz Trio, a Washington group that’s been active on the scene since 1989. 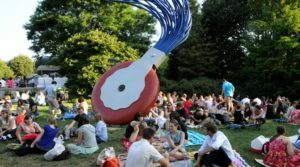 In addition to taking in the music and scenery, you can pack a picnic to enjoy on the lawn or purchase food and beverages such as barbecue pork sandwiches, beef and chicken kabobs and chicken sausages from the Pavilion Café or gelato from the cart near the fountain. Alcoholic beverages, which must be purchased on site, include beer, wine, sangria and mixed drinks. Sept. 2 from 5-8:30 p.m. at the National Gallery of Art’s Sculpture Garden, Sixth Street and Constitution Avenue NW. Admission is FREE! 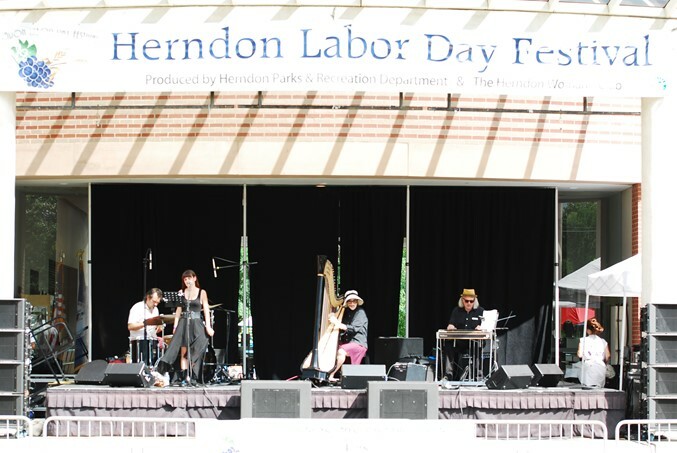 The D.C. Commission on the Arts and Humanities presents the Labor Day Weekend Music Festival, three nights of music to close out summer showcasing local artists in a range of musical styles from jaza to rock, punk to Go Go, blues to folk and more. Friday’s lineup includes Margot MacDonald, The Sweater Set and Sara Curtin Five, Run Come See, the Bumper Jacksons and the Pan American Symphony Orchestra. Saturday features Wanted Man, The JoGo Project, Backbeat Underground and Black Masala. 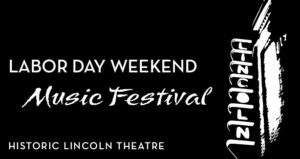 Sunday includes Sol Roots, Freddie Dunn, the Ayana Gregory Band and the Eric Byrd Trio. 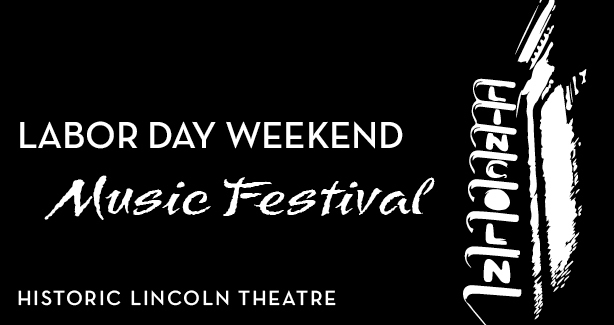 Sept. 2, 3 and 4 from 7-10 p.m. nightly at the Lincoln Theatre, 1215 U St. NW. Admission is FREE! 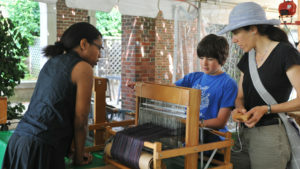 The Textile Museum’s family Celebration of Textiles celebrates textile arts and cultures from around the globe. 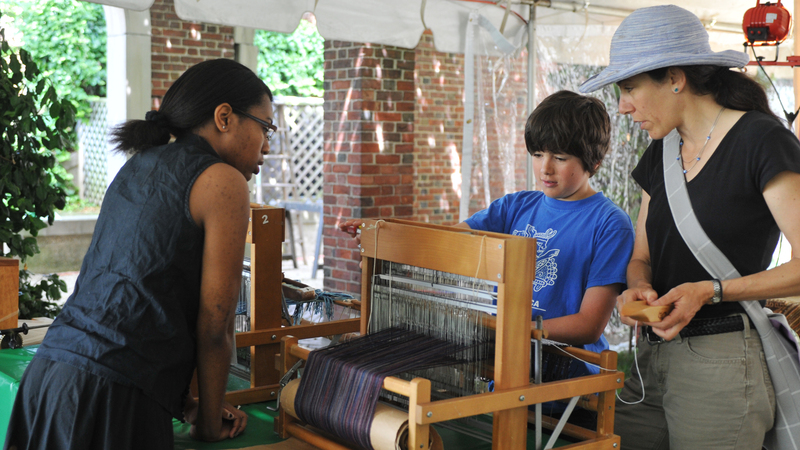 Stop by on Saturday for artist demonstrations including weaving and spinning, lace making, quilting, knitting, Japanese embroidery and more; hands-on crafts, such as fabric printing, paper weaving, quilting a migration square, learning to knit and dressing up in clothing from around the world; international performances by Ariana Ross, Coyaba Dance Theater and GW international student organizations; and your last chance to see the exhibition “Stories of Migration: Contemporary Artists Interpret Diaspora,” which closes Sunday. The art activities continue Sunday without the performances. Sept. 3 from 10 a.m.-5 p.m. and Sept. 4 from 1-5 p.m. at The George Washington University Museum and Textile Museum, 701 21st St. NW, and on GW’s Mid-Campus Quad. Admission is FREE! The 2016 college football season gets underway with two local games. Terps fans get their first look at new coach D.J. 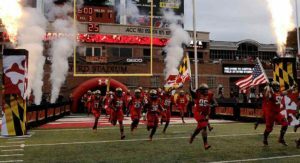 Durkin as Maryland hosts the Howard Bison for the first time ever in its 124th season opener at Maryland Stadium. Up the road in Annapolis, the Navy Midshipmen, who are coming off one of the best seasons in the program’s history, take on Fordham at Navy-Marine Corps Memorial Stadium. Sept. 3 at noon at Capital One Field at Maryland Stadium, 90 Stadium Dr., College Park. Tickets are $25-$35. Also at noon at Navy -Marine Corps Memorial Stadium, 550 Taylor Ave., Annapolis. Tickets are $15-$40. 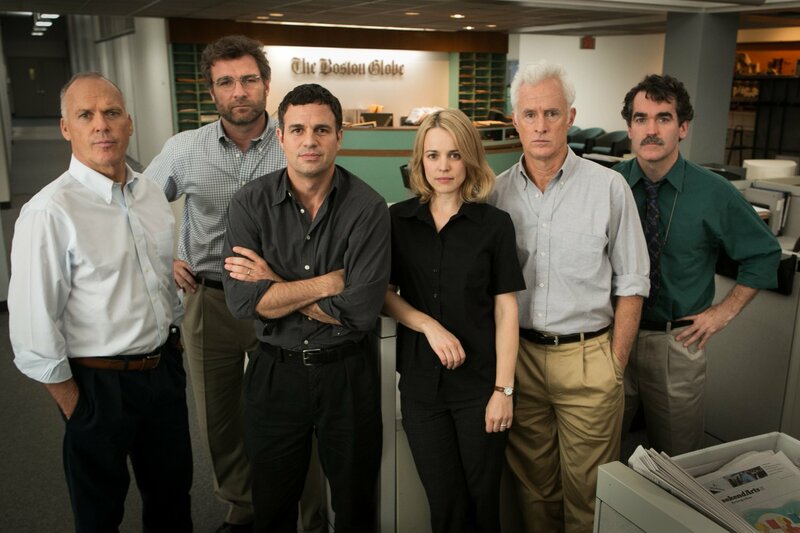 Catch a screening of Spotlight under the stars at the Penrose Square movie night sponsored by the Columbia Pike Revitalization Organization. 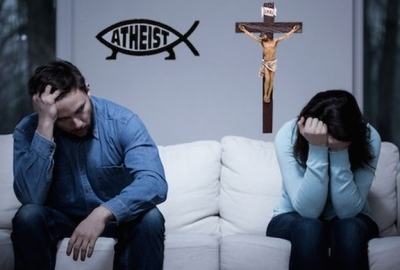 It is the true story of how the Boston Globe uncovered the massive scandal of child molestation and cover-up within the local Catholic Archdiocese, shaking the entire Catholic Church to its core. With six Oscar nominations, the film starring Mark Ruffalo, Amy McAdams and Michael Keaton won the 2016 Academy Awards for Best Picture and Best Original Screen Play. Sept. 3 starting at 8:15 p.m. at Penrose Square, 2597 Columbia Pike, Arlington. Admission is FREE! The Shakespeare Theatre’s annual Free for All event just ended, but you can still catch one of the Bard’s best-known works this weekend, without paying a dime. The Shakespeare Theatre is holding an open rehearsal for Romeo & Juliet, giving theatergoers the opportunity to see director Alan Paul working with the cast on the upcoming production. Regular performances run Sept. 13 through 6. Sept. 4 from 2:25-3:50 p.m. and 3:50-5:20 p.m. at the Shakespeare Theatre Co.’s Lansburgh Theatre, 450 Seventh St. NW. Admission is FREE! Conductor Steven Reineke leads the National Symphony Orchestra through patriotic favorites from Sousa’s The Washington Post march to Armed Forces Salute at the Labor Day Capitol Concert. Also performing is singer Storm Large and her band, Le Bonheur, working through the Great American Songbook with standards including The Lady Is a Tramp, My Funny Valentine and I’ve Got You Under My Skin. Sept. 4 starting at 8 p.m. with open rehearsal at 3:30 p.m. on the West Lawn of the U.S. Capitol. Gates open at 3 p.m. In case of bad weather, the concert will be held in the Kennedy Center’s Concert Hall and there will be no rehearsal. Admission is FREE! 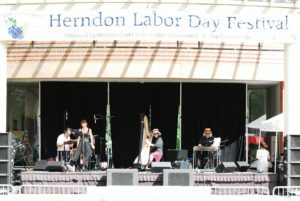 If you are out in the Virginia suburbs, check out the Herndon Labor Day Festival featuring tastings from a number of Virginia wineries and craft breweries, food and craft vendors, lawn games and live music all day, ranging from bluegrass to soul and Brit Pop, along with a Santana tribute band. Sept. 5 from 11 a.m.5 p.m. on the Herndon Town Green, 777 Lynn St., Herndon. Admission is $20 for drinkers, $5 for non-drinkers and free for kids 12 and younger. 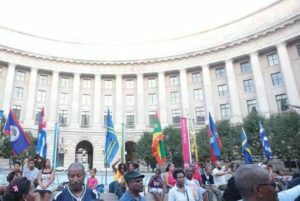 Enjoy Caribbean vibes at Carifesta music and arts fetival. What better way to spend your day off than with authentic Caribbean cuisine, a beer garden, a craft village and a full day of dancing and live music performances, including soca, reggae and salsa? Sept. 5 from noon-8 p.m. on the Ronald Reagan Building’s outdoor plaza, 1300 Pennsylvania Ave. NW. Admission is FREE!